It is a pleasure to cook on Viking outdoor grills, and yours will treat you right so long as you take care of it. The BBQ Cleaning Guru would like to introduce you to the services we offer as a way to make certain your grill retains its excellent performance. 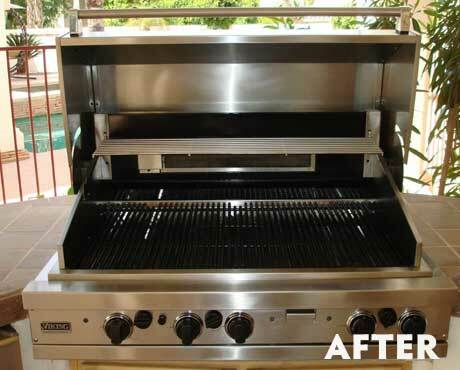 Our experienced BBQ cleaners are also experts at grill repair and BBQ restorations, meaning we can improve upon the performance of Viking gas grills no matter the condition they are in. Look to us for the very best in barbecue cleaning services. You’ll be glad you did. Take a good, long look at your Viking grill. It’s a beauty for sure, but are you consistently giving it the care it needs and deserves. 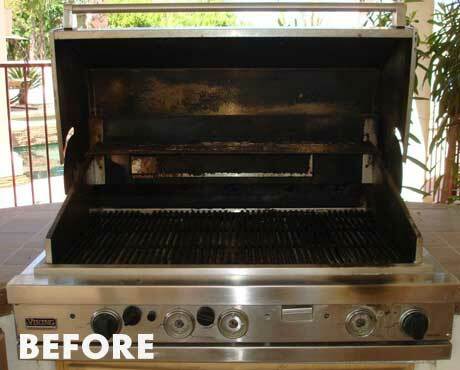 As experts in what it takes to keep a grill running strong, we invite you to find that care at the BBQ Cleaning Guru. Viking gas grills are among the finest on the market, and you want to protect your investment in the best ways possible. The BBQ Cleaning Guru can help in this regard, as the long and productive life of your favorite grill is something we can facilitate. We offer a track record that grilling enthusiasts throughout Phoenix can rely on, and promise to leave your grill looking like new and firing on all cylinders.